Coming back to the scene of their triumphant scores at the Bay Oval against Sri Lanka, New Zealand will seek confidence against India hoping to see their batsmen put up a more rounded batting performance. 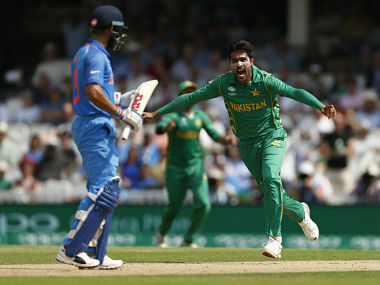 Former India cricketer Sanjay Manjrekar tells Firstpost that India's Asia Cup 2018 clashes against Pakistan could be the most evenly-fought contests between the two teams in recent memory. Top-ranked Rafael Nadal will be working to increase grip atop the rankings at the ATP Toronto Masters, an event which lost an exhausted Andy Murray prior to Monday's start. India know how to exploit loopholes, and the Italian defence will leave gaps at the back when they try to force their midfield to advance. Both India and the USA are on a point each with victory assuring third spot. A draw would benefit India as they have a minus one goal difference compared to minus two for the Americans. At the World Cup, there are no no short-term goals for India. There is excitement and a sense of pride that the team is playing a World Cup and the players want to make it count. 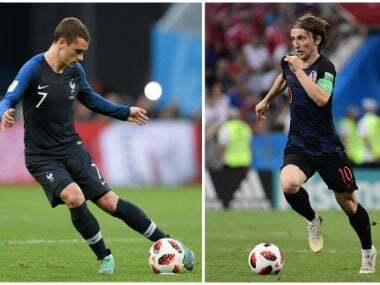 Here's what you can expect from what promises to be a blockbuster Sunday for football fans, with France taking on Croatia in the FIFA World Cup 2018 final at the Luzhniki Stadium in Moscow. 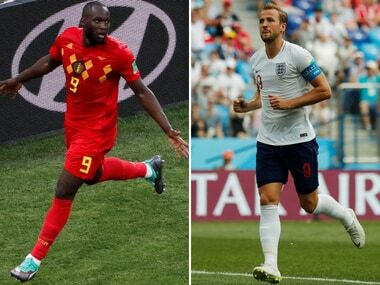 Two of the Premier League’s top strikers – Harry Kane and Romelu Lukaku – warmed the bench when England met Belgium in this World Cup’s group stage, but both of them are expected to start in the third place play-off. 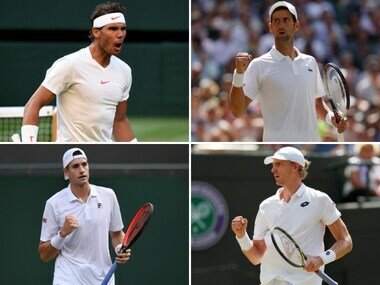 The Wimbledon men's semi-finals are a contest between Grand Slam veterans Rafael Nadal and Novak Djokovic and two first-timers, John Isner and Kevin Anderson. 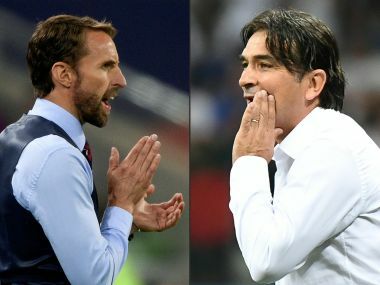 Croatia play England in the World Cup semi-final in Moscow on Wednesday. Here’s a look at what you can expect from the high-stakes match.